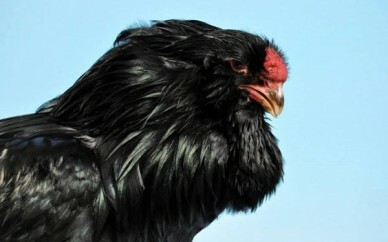 Until recently the Russian Orloff chicken was a rare and endangered breed but, thanks largely to the efforts of the Russian Orloff Society in the UK, is now no longer rare and is classed as a soft feather heavy bird. Formally known as the Chilianskaia it originated in northern Iran; however, after the breed was introduced in to Moscow, they were renamed Orloffs, somewhat narcissistically, by the Russian Count Orloff Techesmensky. 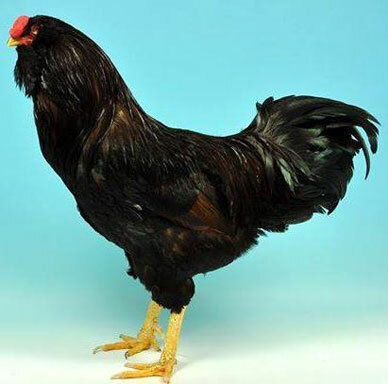 Orloff large fowl were first introduced to Great Britain in the 1920s but the bantam variety didn’t reach these shores until the 1970s despite being developed in Germany over 40 years earlier. Orloffs are mainly judged on type and character, especially of the head. Plumage colour is a secondary consideration although the recognized colour varieties are black, white, spangled, mahogany and cuckoo. In the UK spangled is the most popular and common colour with the others remaining fairly scarce. Unique looking, these handsome birds are an active and alert breed and are keen foragers. Some strains are excellent layers and broody hens make very good mothers. Due to their combination of dense plumage, tiny walnut comb, small earlobes and minuscule wattles, Orloffs are also a very cold hardy breed. I was asked by a friend many years ago to re-home a cockerel which belonged to a acquaintance of hers. I didn’t know what they were bringing me but when they took Albert (he was already named) the Orloff out of his carrier I was immediately struck by his feathering and colour. The standard according to the Russian Orloff Society is to display a broad flat body with slightly sloping back and full, prominent breast. Wings should be of moderate length carried close to the body and they should have a medium sized tail with fairly narrow sickles, carried slightly above horizontal. A medium sized head should have a wide skull and a short, stout, well hooked beak. Eyes should be large and deeply set under projecting eyebrows. Combs should be low, flat and walnut shaped and covered with tiny feathers. The most prominent characteristic, of the males especially, is the facial muffs on each side of the head and the muffled beard. The neck is also very heavily covered with hackle feathers. Their feet and legs are moderately long and sturdy and both sexes have yellow to pale orange legs. My own personal experience with Orloffs has shown them to be confident and independent with males being very popular with the ladies. They need regular attention to make them easily handled but are intelligent enough to allow you to go about your usual duties, including claw trimming, without a fuss. A large, exotic looking and relatively easy to keep bird that I would thoroughly recommend to anyone. nice advice and thanks for using pics of my birds . Hi,I am from Russia, Moscow. Picture of black Orloff looks great! We don’t have this color in Russia any longer. Is it possible to buy eggs? 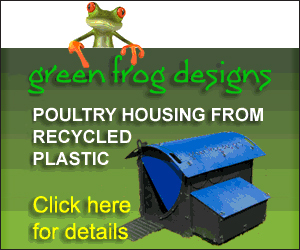 Where do you live and how we could order them? Next week (12 to 13 of October) I am flying to London for business trip if you are located any close, I can come and purchase the eggs or at lease see the birds. 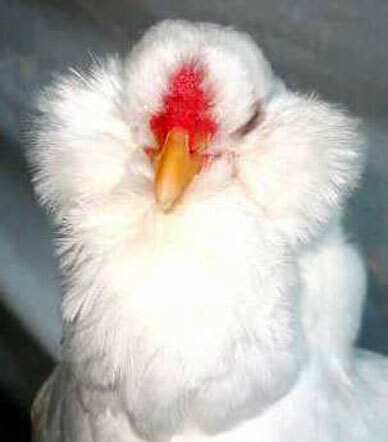 At Moscow I also breed Orloff chickens, but different it is different color birds. These pics were supplied to me by the Russian Orloff Society of Great Britain and were used in good faith. I am happy to credit these wonderful pictures to you with proof of ownership. Many thanks.